I have a question regarding how to hand-solder the ground (41) underneath the FPGA. I placed solder in the hole exposed underneath the board, but I've a feeling this isn't how you are supposed to do it (see picture above). I've a feeling this board isn't going to work due to my soldering skills, but it has been an education nonetheless. You should be able to get solder to flow down that large hole. I'm not sure what tools you have, but I normally put solder paste on. Set the chip down and tack a few legs. And then use hot air or iron on the bottom side. From a quick glance that'd require tapping quite many pins. 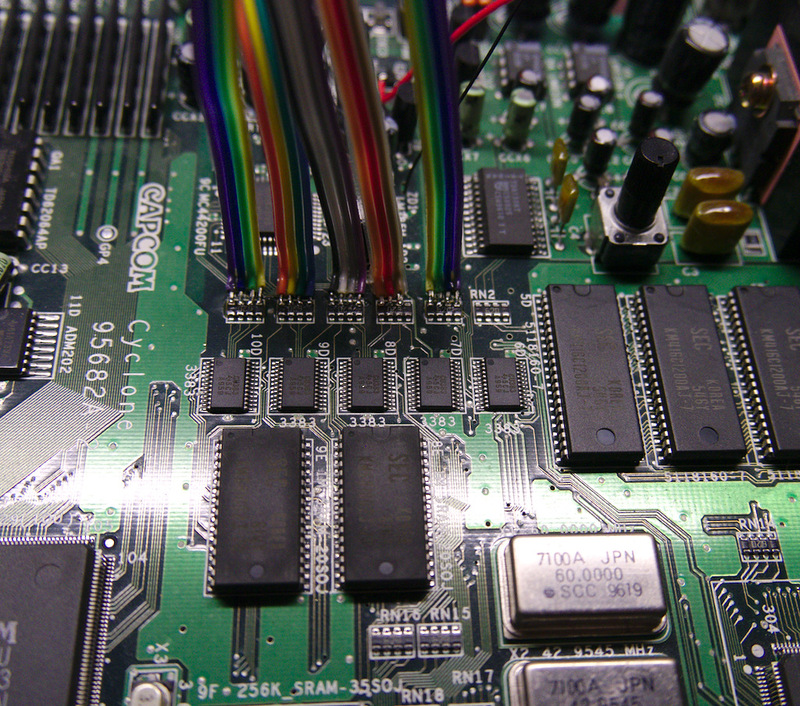 A separate Neo-Geo specific daughterboard which would combine and encode audio into I2S could do the job until/unless someone forks/creates a dedicated Neo-Geo digital AV mod. 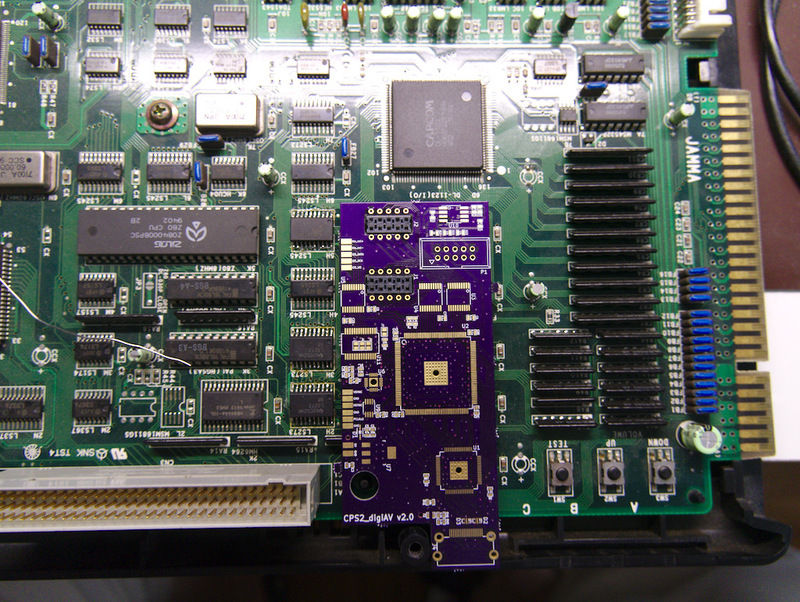 Getting a good connection on the bottom pad is hard as its underneath area is part of a big ground plane, but it's crucial as without it the FPGA doesn't work reliably or at all. Any update on the revised board? Schematic was finished a few weeks ago, now I just have to complete the layout. 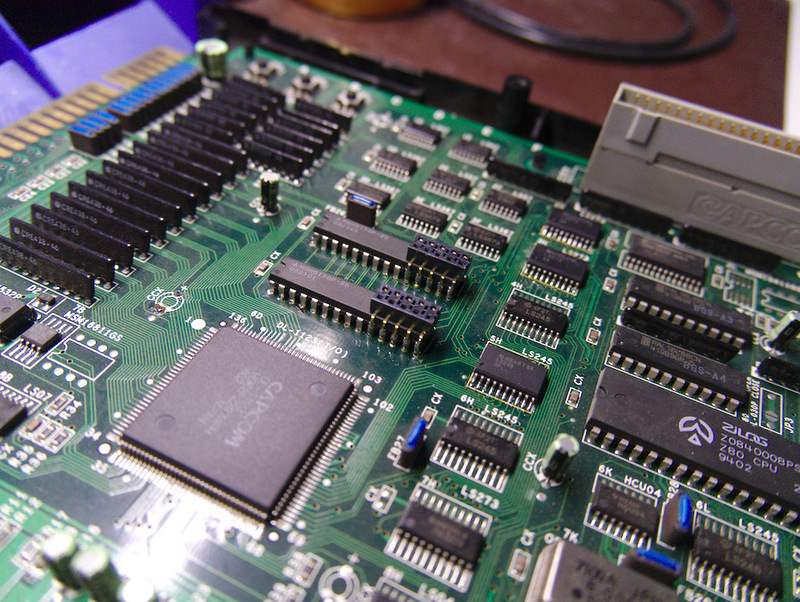 There's also been a different ideas to help installation, one suggested by DewmanSNK on the previous page and one with a helper PCB around M5M RAM chips. The PCB design is almost finished now. I took a couple mockup pictures to demonstrate the planned mounting method. 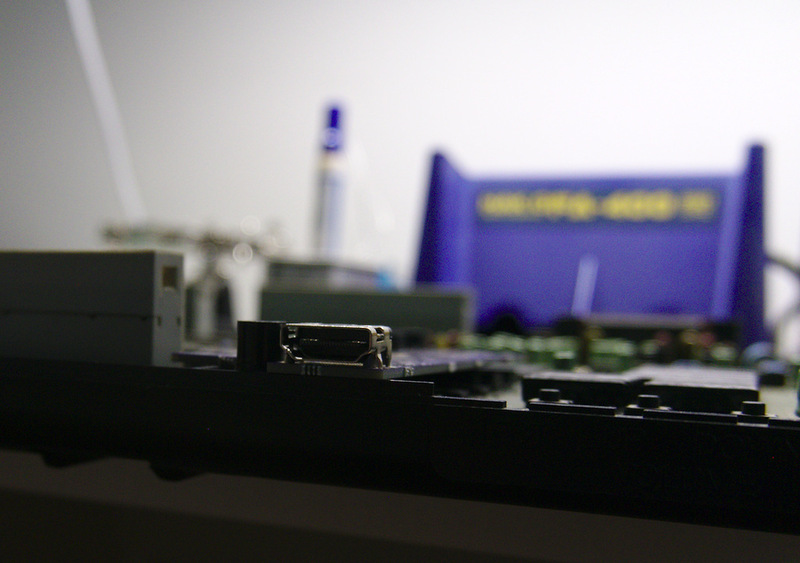 It involves soldering a pair of HLE-105-02-G-DV-PE passthru sockets on top of M5M chips, and a pair of HLE-105-02-G-DV-PE-LCs on matching position on top of scanconverter PCB (which has cutouts for bottom sockets).That should provide easily detachable yet reliable installation method for the mod. The PCBs have arrived, more images below to illustrate the installation method. Rest of the components should arrive next week after which testing can begin. Unfortunately ADV7513 is no more available from trusted suppliers (technically it's on Mouser's and Digikey's inventory, but former requires you to be a HDMI licensee and latter has large minimum order quantity), so one needs to resort to other sources with that. I want one of these soooo bad. I've been playing with the new prototype for a while and so far it's been working well. With 40 line buffers (40 out of 66 M9Ks) reserved for coping with line count differences of source and output modes, the board is now able to output "normalized" 1080p at 59.64Hz . Sounds awesome. Will the new firmware work on the original board? No, it's specific for the new board. Some features might be back-portable but considering the limited number of original boards in use, it's probably not worth the effort. Great engineering and work marq's. Install method looks perfect. 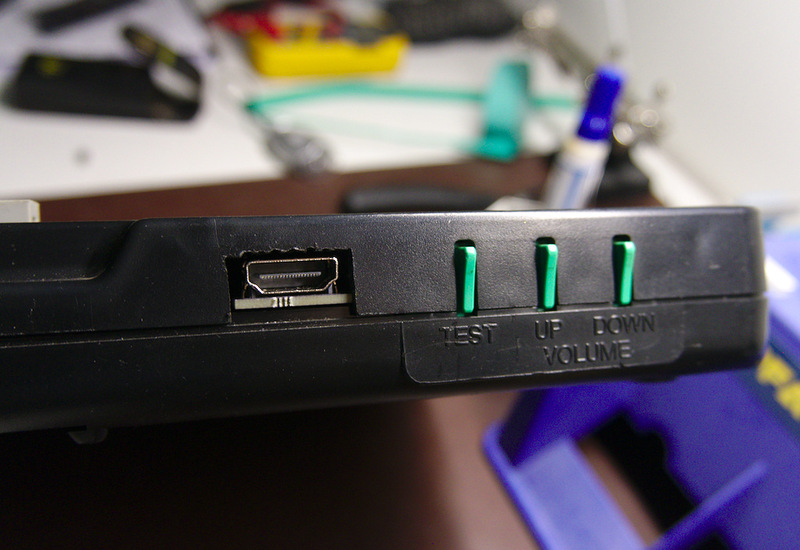 I can see why you made the board stick out to the side for the HDMI port but I would have preferred to have run the HDMI cable out one of the round plug holes rather than having to cut the case up to fit it. Any chance of a revision where this wont be necessary? Nonetheless I still think this is great mod, what will the price be on one of these? 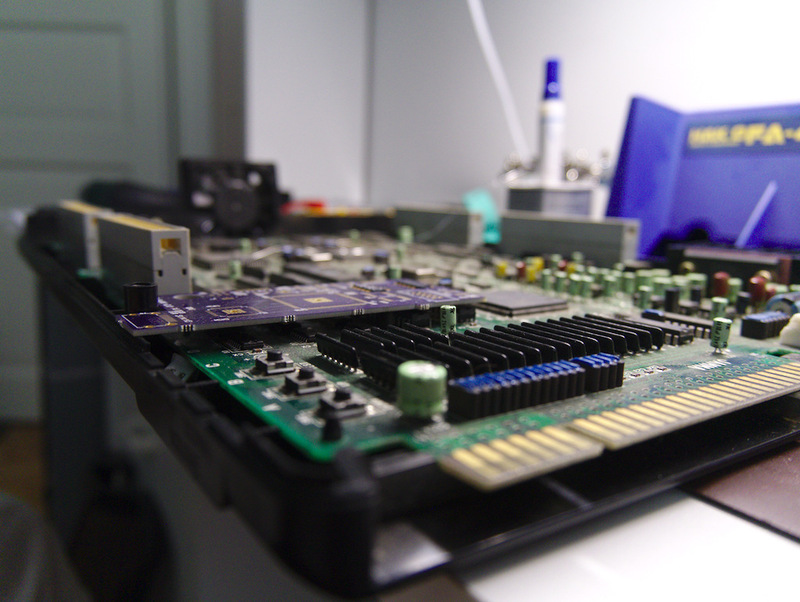 This board gets installed in the A (system) board. Only the B (game) board has the round hole plugs. Haha ok my bad. Had my mind thinking of the B board and installing the multi so didnt even think about it being installed on the A board. Are there any plans for anyone to sell these pre-assembled? 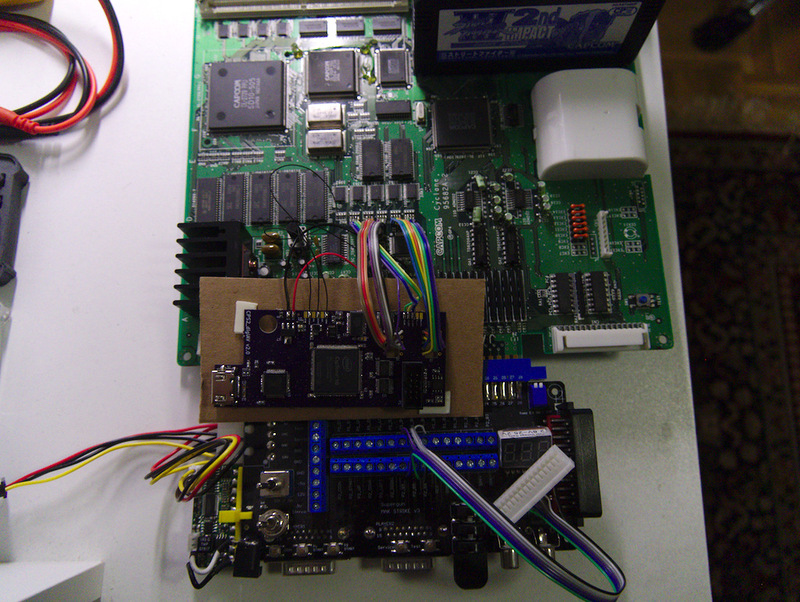 I'm awaiting the 'release' of it, but I'm skeptical that I could solder in the FPGA. 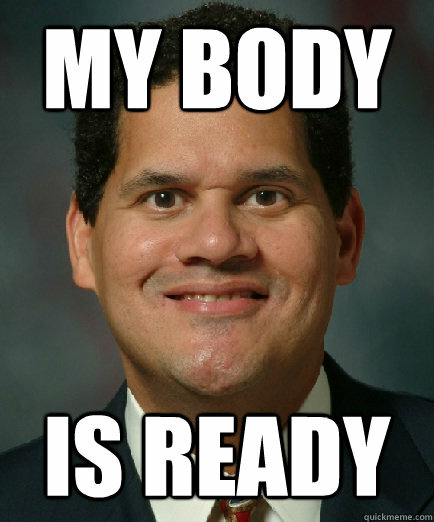 I intend to (targeting late this year/early next year). Yeah we're working on it at the moment too, just waiting on some quotes. So far there's been an interested seller in US, EU and Japan each, so I'd say we're well covered here. Would it make sense to include a display rotation feature here? That requires a frame buffer, which the current implementation does not have. If it were implemented, it would add at least 1 frame of lag. Anyone know when this wonderful product will be released? Yes, adding frame buffer would require a dedicated RAM chip and FPGA with more IO pins (basically a BGA which would be an annoyance for DIY builders). 10CL025YE144C8G FPGAs are currently sold out everywhere and new stock is assumed to arrive around Dec/Jan. By that time the HW should be final (is almost already) and then it could be put into manufacturing. 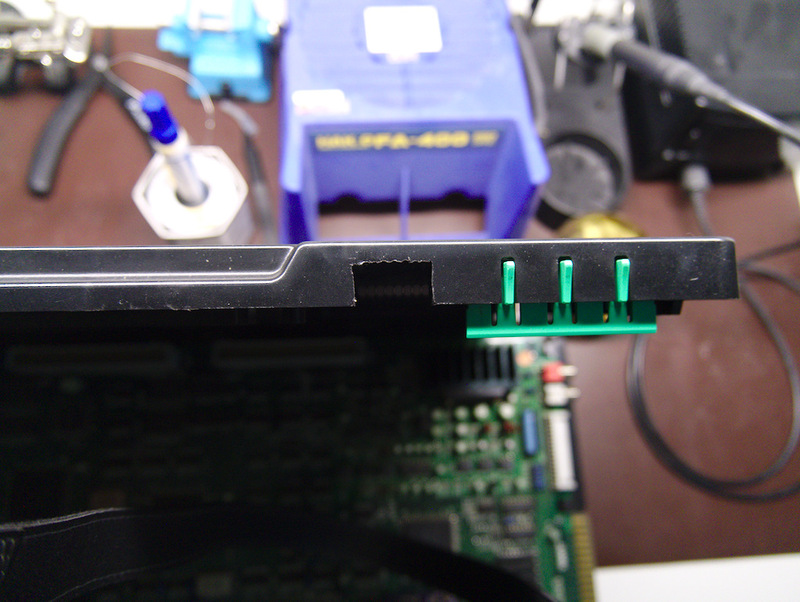 Below are a couple pics of CPS3 installation I did a couple days ago. Aside from a minor yet unresolved audio quality issue, the board seems to work very well with that. I got the mod done to my CPS2 a couple of months ago by zeruel85 and I'm super happy with it!